of the hills to surrender their digital cards. The GJM president also questioned the state government’s inability to identify and implement the categorisation of APL (above poverty level) and BPL (below poverty level) people in the hills, even though the process started 16 years ago in 2000. Apparently, the AAY contemplates identification of the poorest of poor families from among the BPL covered under Targeted Public Distribution System (TPDS) within the states and provides them food grains at a highly subsidised rate of Rs2 per kg for wheat and Rs3 per kg for rice. “Issuing digitalised AAY cards is a state government conspiracy to prove that we (Gorkhas) are refugees, as is one of the criteria of the scheme," Gurung alleged today. "Through the AAY, the Bengal government wants to send out a message that refugees cannot demand a separate state." He said the process started last month during the visit of President Pranab Mukherjee. “The President was invited to Darjeeling in July by the state government to convey him the message that the Gorkhas are not the only ones who reside in the hills. Bengal hijacked the birth anniversary programme of our poet Bhanubhakta Acharya on July 13. And now no instruction in Nepali is provided in the digital card,” Gurung said, adding he would write about this to the state government. The GJM president said it was his responsibility as a leader and chief executive of the Gorkhaland Territorial Administration to make the people aware of the state government’s ill intentions. “Bengal is trying to create a scenario to deprive our rights and drive us out from the hills, slowly but surely. 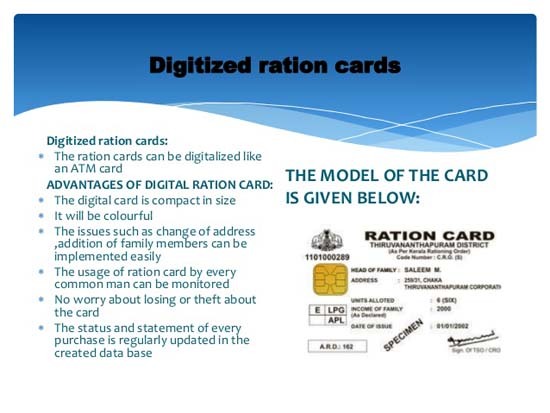 I appeal to those who have received their AAY digital card to surrender it to the district administration. I have also asked the municipalities, Sabhasads and leaders in the panchayat areas to stop the distribution of AAY cards,” he said, and urged all political parties including the hill TMC to forget political differences and unite to oppose the state government's imposition. Incidentally, the word refugee is not mentioned in government papers or notifications as a criterion, although slum dwellers, landless agricultural labourers, and persons earning on daily basis in informal sectors in rural and urban areas, among others are listed. Darjeeling district magistrate Anurag Srivastava said the term “refugee” was just a propaganda and asked people not to pay heed to it. “The AAY is being implemented as the hills do not produce food grains and they have to be purchased from outside at high costs. As far as the issue of returning the digital card is concerned, people may do so if they wish to,” he said. Gorkha Janmukti Morcha president Bimal Gurung today accorded a different connotation to the Antyodaya Anna Yojana, terming it a state government ploy to quell the statehood demand, and appealed to the people of the hills to surrender their digital cards.